Challenger is the half accoyo, bay black son of CPeruvian Accoyo Express 0222 and SA Peruvian Black Mysteria. Born on Hickory Ridge Farm in July of 2007, he showed excellent fiber and conformational characteristics from the time he landed on the ground. The fiber’s extreme density and softness of handle are two of his qualities that set him apart from the rest of the crowd. The high frequency crimp and thick fiber density allows for the formation of a lock structure that rivals the very best of full Accoyo white animals. When Challenger walks into the ring, his outstanding conformation gives the impression that he is there to own the ring. Challenger is the epitome of the typey black herdsire genetics that you will want to carry into your herd. 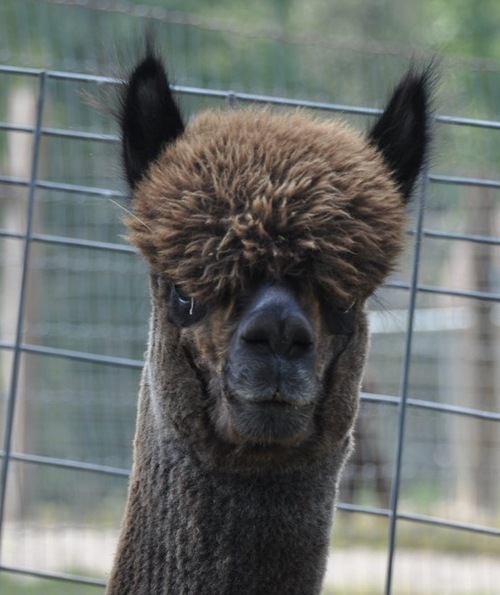 He will bring a highly sought after fleece and great genetics to his offspring. Even though he has just started to breed, we are sure he will be another solid herdsire that the best breeders will want to utilize long term. His 2008 show season has finished with a bang. 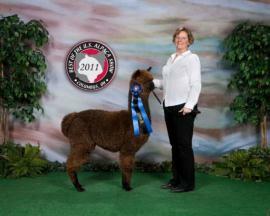 After appearing in 14 Halter shows, he had received blue ribbons in class for each show and eleven halter class championship banners. The championship banners include a reserve championship at the 2008 MAPACA Jubilee, which to date has been the largest Alpaca show in the world!! 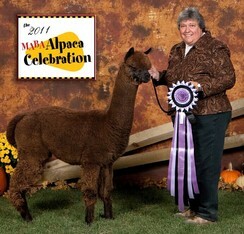 At the 2008 Empire Extravoganza, Challenger was selected as the first ever Judge's Choice Male Halter Huacaya Award!! His 2009 show season has ended with the Color Championship recieved at AOBA Nationals in the spring of 2009, with an outstanding twenty (20) halter class championship banners earned. Dr. Norman Evans has completed a skin biopsy and detmined that Challenger's fiber folicles number 88.75 per square millimeter and the Secondary to Primary follicle ratio is 16.4. Dr. Evans has placed Challenger as one of the top three (3) males of his age (2years) that he has ever evaluated!! $4,000 Best Black Head Around! Black champion herdsire, son of 21 times halter champ HRF Peruvian Challenger. First three shows, three blue ribbons! 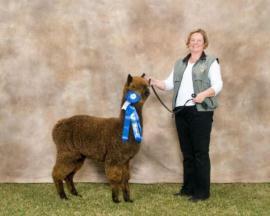 First show appearance after we purchased him and he earned the Reserve Color Championship at the Maryland show. 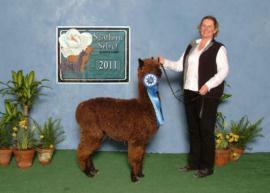 High selling male at Breeder's Edge auction. 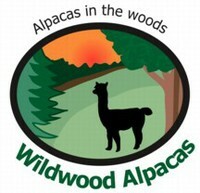 Soft and dense fiber, his fleece is wonderful to work with and makes a wonderful yarn. 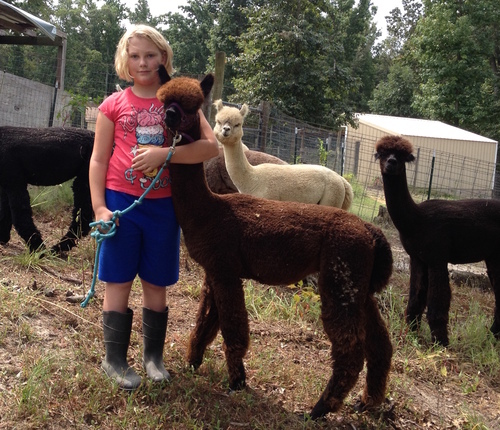 First cria is a very soft crimpy male named PacMan. His second cria was a beautiful rose great female born in Spring 2016 to classic rose grey Millie. Mobile breedings available.